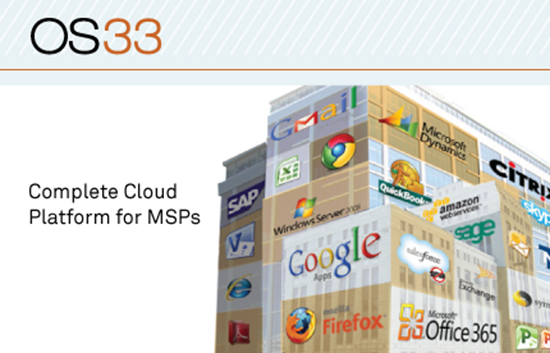 Built by an MSP for MSPs, the OS33 platform gives you everything you need to take full advantage of cloud computing with one vendor, and the flexibility to add additional services such as support, on-premise, security services and more. Now with ConnectWise Manage integration, MSPs can easily extend their business models with cloud services offerings powered by OS33 without having to change the billing systems, PSA tools or the way they do business. This enables ConnectWise Manage MSPs to easily service clients across both traditional and cloud based service delivery models, opening the door for MSPs to start shifting their traditional managed services to the cloud without changing their business processes. If you want to partner with a cloud vendor that has the experience, support and expertise to get you up and running quickly and professionally, look no further than OS33. Every single person that I have worked with from sales to support has personally taken it upon themselves to help guarantee our success. Our clients love the solution and our engineers know that they have the backing of an entire team ready to assist with any technical challenge. Integrated billing with ConnectWise makes tracking the cloud "utility" services a breeze on agreements. Highly recommended.